Every couple of days we get an email asking about this year's Autonomous Vehicle Competition (AVC). When is it happening? Where? What events are you running this year? Can I drive my Jeep on the course? So on and so forth. Well, I’m here today to tell you that YES, it is, in fact, happening! The dates (yes, dates plural) are October 14 and 15, 2017. Everybody mark it on your calendars NOW so you don’t forget and I don’t have to tell you a second time. “But Pete, won’t there be snow storms and all kinds of bad weather juju in Colorado that time of year?” You clearly aren’t from around here. October is one of the very BEST weather months here in sunny Colorado. Trust me, it’s going to be amazing weather. “But Pete, why two days?” Glad you asked. Having it over two days opens up some interesting possibilities for the event, which I’ll get to in a sec. "But Pete, you idiots scheduled AVC for the same dates as Maker Faire Denver!" Ah HA. That was on purpose. Therein, my friends, lies the great reveal. This year we are holding the Autonomous Vehicle Competition at Maker Faire Denver! First of all, it’s actually sort of a three-day event in that you can come and check out the track on...uh, Friday the 13th. That sounds promising. If you’re competing, you can take some practice runs on the track; lots of people do this. If anything’s going to go wrong for you, it’s likely to happen that day. 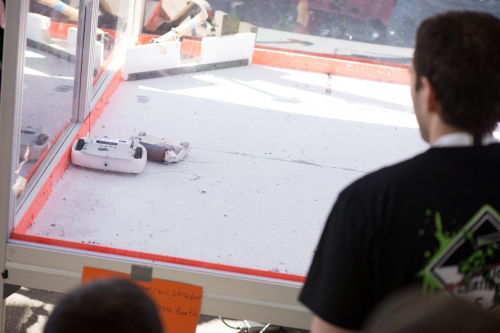 Along with our Classic AVC ground course, this year's competitions will include an autonomous freight challenge, unpredictable road hazards and semi-autonomous challenges. We’ll also be having an autonomous human rider class. Have you been looking at Google's and Uber’s work toward self-driving cars and saying, “Pfft, I could do that better”? Then now’s the time to put your money nearish to where your mouth is (don't touch your mouth with the money; it's gross). We’ll also be having some student-specific competition classes. If you’re looking for a capstone project, or if you’re part of a student group looking for something way cool in which to participate and learn (and get funded by your school), this is a huge opportunity for you! More announcements about this to follow, but I promise it’ll be worth the wait. As if all that weren't enough, Combat Bots are back! Besides the 1lb (ant weight) and 3lb (beetle weight) classes, we’ll be adding 12lb (hobby weight) and 30lb (feather weight). We’ll also be running Plastic Ants, which is a new weight class designed to get the K--12 groups started in robot combat. The spirit of the rules are 3D-printed everything! The only metal bits are electronics, axles and shafts, hardware, bearings and motors. All weapon blades/implements are plastic. All armor is plastic. Official event rules and registration will both be available on May 1 (May Day! ), so get working on your bots and check back then on our official AVC website. Will PRS and/or A+PRS be part of the AVC, or something separate? And is the "autonomous human rider class" the same thing as A+PRS last year? 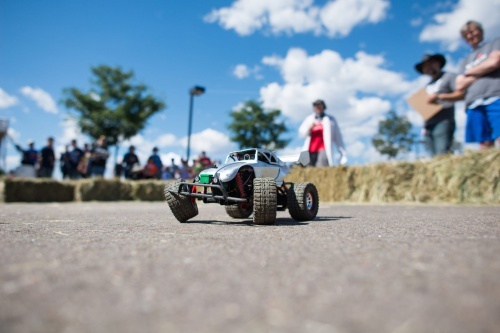 AVC this year will be the Classic AVC ground course and the combat bots this year! I am from the Denver area, and sure the weather is mostly nice in October, but we frequently get our first snow sometime during the second week of October. And, it is not unusual to get thunderstorms in October (but those can happen all summer, so eh). 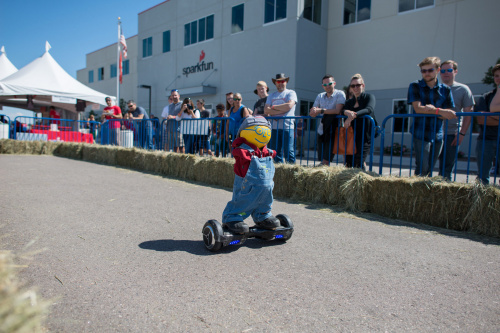 So will the event be in Denver or still at Sparkfun? 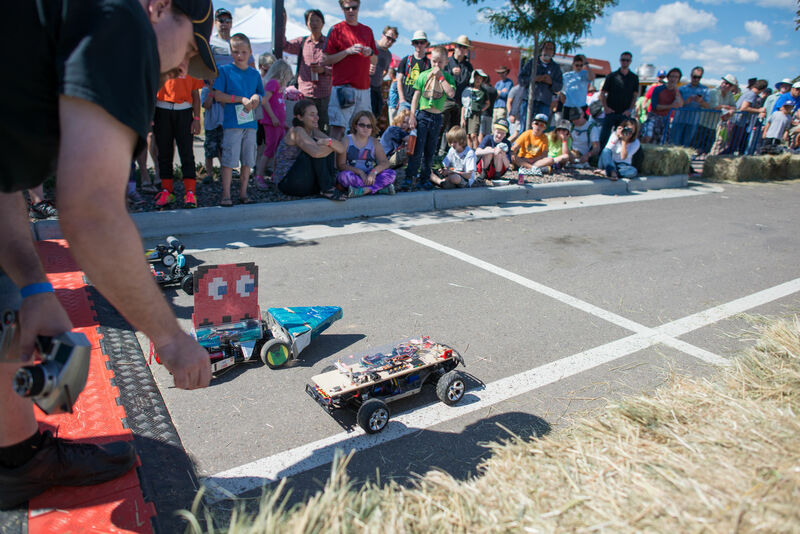 It will be held at Maker Faire Denver. Full AVC Details and Course Preview!